In stock orders are usually shipped within 5 working days. During busy seasons it may take up to 10 working days. Most items are shipped by UPS Ground. We can also ship UPS Air (2 day or 3 day) or UPS Overnight if you prefer. If an item is not in stock, we will keep the item on backorder and ship when it arrives unless you notify us to do otherwise. Shipping charges are approximately 10% of your order total plus the minimum charge for the shipping method you have chosen; however, no shipping charge will be added when you checkout. The exact cost will be charged when your order is packaged and shipped. If the order is unusually small or large (bulky), a minimum carrier fee may apply. You can contact us to find out the exact charge to ship your order. Orders from outside the US will be shipped via UPS. Charges cannot be estimated as each country has unique fees and the weight and dimensions of each package incur a different shipping rate. Shipping charges will not be shown on your online order. The exact cost will be charged when your order is packaged and shipped. Customers in California must fax us a signed resale card or we will charge sales tax. Our minimum quantity is 15-17 yards per piece, approximately 28 yards for velvets, and 1/2 dozen of all other items. The minimum sale is $100. We ship from available quantity as close as possible to your desired order, but please remember, this is wholesale, and shipped quantity may be plus or minus approximately 20% of the quantity you specify. Any claims must be made within 15 days of receipt of goods. No claims allowed after goods are cut. All sample cut sales are final. Please contact us for a return authorization. A re-stocking fee may be charged on returned orders. First time orders are usually sent COD cash. We accept Visa, Mastercard, Discover, and American Express. We can only ship directly to the cardholder's name and billing address on the account. A credit application can be sent upon request. A credit ceiling may be established based on your financial strength and history of prompt payment. A 2% interest charge will be added each month for past due invoices. By accepting credit, you agree to these terms. Please Note: Different computer monitors will cause the colors of the online samples to vary slightly. If you require an exact match, please order a sample set or contact us to request a color sample before placing your online order. 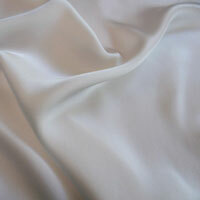 Exotic Silks does not sell, rent, share, or disclose personal information about our customers. In the interest of our customers safety, however, pertinent information may be disclosed, under the guidance of the law, regarding credit card fraud. More information.